Group rates are available for pre-scheduled groups of 20 or more. Bring your scouting troop, school class, youth group, family, and friends. 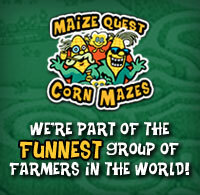 Our Giant Corn Maze and additional attractions make great group outings. Group members interact, make group decisions, succeed and fail together as they progress through the pathways. Your adventure can be a competition or collaborative effort, but it will always be exciting. Mitcham Farm focuses on education through entertainment. Inside our mazes, groups are involved in three major types of learning experiences: Teamwork, Navigation, and Agriculture. The results and methods of solving the maze make lively debate topics, discussions, and applications to everyday life. Families are welcomed at Mitcham Farm and we have activities suited for young and old! Kids can enjoy our play area that includes a Giant Corn Box, Pedal Karts, Ball Pit, Tire Swings, and more. All ages can will enjoy the Giant Corn Maze, enjoy taking a hayride, or several other attractions. Group discounts apply with groups of 20 or more. Book online or call (770) 597-6346 to make your reservation! Students are welcomed at Mitcham Farm. A visit to Mitcham Farm makes a great field trip for homeschool, public school, or private school students. Young and old alike should enjoy the Giant Corn Maze and our many other attractions at the Fun Park. At Mitcham Farm, we value education. Our philosophy is that education can be accomplished through play, experience, hands-on activities, and even entertainment. Mazes are great for scout groups. They can practice navigation, teamwork and leadership. Our Giant Corn Maze is a great place for scouts to start. Scouting is a great leadership development organization and our program can help scout leaders accomplish their goals. Your scouts will use our games, puzzles and mazes as tools to engage them in problem-solving exercises. The corn maze is a great place for groups to start. Scouts working in small groups, determined by the leaders, have endless opportunities to explore group decision-making options. And don't forget to add a bonfire to your reservation for a perfect ending to your night. Leading a youth group? Need an activity to get started this year? Want to wrap-up a successful year? Tell your youth group to "Get Lost"! Come visit Mitcham Farm if you are looking for an activity for your youth group. You face a lot of challenges leading youth today, not the least of which is "leveling the field". Kids grow up with such different backgrounds, friends, pressures, families, and schools. It can be hard to get them to see that they are all on the same journey. It can be hard to "level the field." That's where Mitcham Farm can help. Whether you choose a day trip to our 7-acre Corn Maze or an evening excursion with flashlights, we level the field. You see the maze doesn't care if you are black or white, rich or poor, cool or square, nerd or jock. The maze is simply a bigger problem than any one person can solve; everyone needs help. The choice becomes clear: work together and escape, or go it alone and get frustrated. At every intersection you make decisions, and every decision has consequences. Sound familiar? That's why mazes have been around for thousands of years. Mazes are an ancient metaphor for life. Chances are your group won't see the lesson coming, until you discuss it with them around the bonfire. 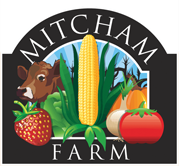 Choose Mitcham Farm for your birthday party or special celebration. Kids, and adults too, love the farm and animals. What better way to entertain your child and his or her friends than out in the open air and space of the country? What better way to spend time with friends or family than sitting around a campfire, enjoying a picnic in the outdoors, or going on a hayride?